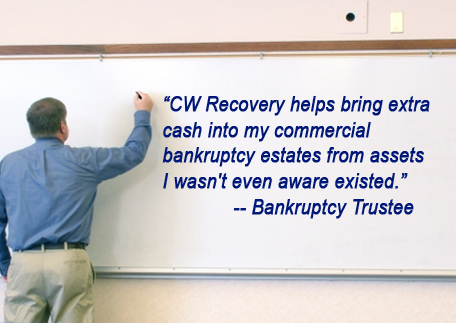 CW Recovery serves as an ordinary course professional to bankruptcy estates and their representatives to assist with the recovery of residual assets. Such residual assets include aged receivables, preference judgments, stale checks, class action claims and more. Contact us today to learn how CW can recover cash for you.